Soccer practices require rigorous training coupled with the best in soccer accessories and equipment to give players the competitive edge. With the correct soccer accessories, turning any player or team into a champion becomes reachable goal. DunRite provides only the best in soccer accessories to reinforce any player or coach's soccer program. Practice is a serious and beneficial aspect of sports, when performed correctly and habitually. The correct soccer accessories are mandatory to help that along. With soccer ball bags from DunRite, transportation of the game's key accessory is a cinch. The soccer ball bags that we provide are lightweight and are exceptionally durable. The bags are constructed from a heavy-duty nylon netting fabric that is affixed with a cord clasp at the end of the net for quick and secure closure. Practice is not complete without soccer cones, which are integral to develop quick change of direction and control while dribbling a soccer ball. These soccer accessories come in a few different shapes and sizes to suit the condition of the field and nature of the drill. We offer corner flags to mark the parameters of the playing field, nine, twelve and eighteen-inch cones, and disk cones for ball placement. 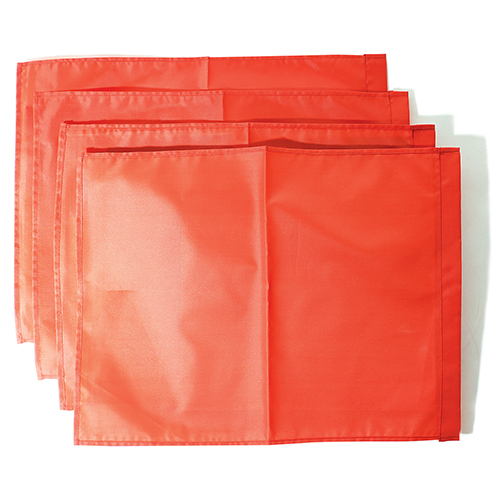 The cones and flags are all a bright orange color that can be spotted from long distances. The cones are constructed out of a tough and perdurable plastic that is sure to last. DunRite offers portable soccer goal equipment that folds up for easy moving and storage. This type of folding sports equipment was designed with efficiency and professionalism in mind for the avid soccer player for use in practice or game time situations. The soccer goals are assured their quality and performance certifications they achieve from the NFSHSA, NCAA and FIFA. The aluminum material that the portable soccer goals are made out of is light, which makes for easy transportation to and from destinations. The Ultimate Folding Soccer Goal offers counterweight resistance along the base of the net. 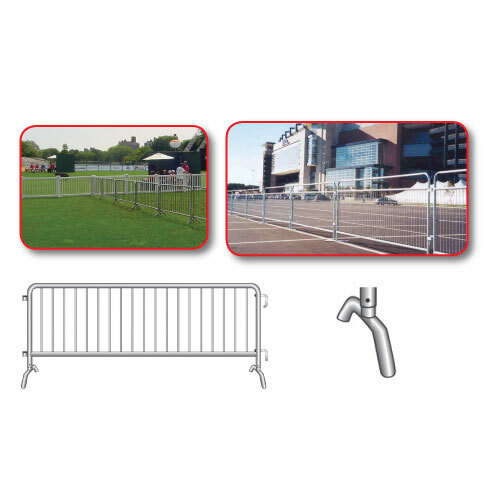 This prevents the goal from tipping over onto players who may carelessly neglect safety during practice. Common with many competitor goals, now completely avoidable with this type of soccer equipment. The Ultimate Folding Soccer Goal is designed so that it is sturdy when raised in the up position or lowered in the down position and rested on its 2" steel backstays that provide support the equipment. Net attachment proves to be a tiresome bother when setting up soccer goals that utilize faulty clip systems. Installation becomes a breeze utilizing a patented "money clip" attachment system allowing for the net to be quickly attached to the frame of the equipment. The Ultimate Folder Soccer Goal does not come with nets and require that ground anchors be utilized in order to properly secure the portable soccer goals Soccer practice and soccer training equipment becomes more efficient with the invention of the soccer rebounder! In the past, soccer players would have to have a partner to kick a ball around with to work on their strikes and long distance passing or endure chasing the ball by themselves after every kick With the invention of the soccer rebounder, players can employ this training equipment to get more practice in with less time. The soccer rebounder is simple in design but effective in results. The device is simply a small, collapsible lightweight metal contraption that is tightly strung with a nylon net to provide a surface in which to kick the soccer ball. By doing this, soccer players can utilize this training equipment to work on their trapping and juggling skills. Being only 40 pounds in weight, the ball rebounder is perfect for coaches to transport between practices and games to provide a soccer accessory that will significantly improve player's skills. Quick depreciation on the frame of the soccer rebounder is not an issue since this piece of soccer training equipment is composed from galvanized steel. Since the steel is galvanized, this soccer rebounder training accessory is suitable for all-weather outdoor practice & training because it's coated in zinc to aid in resisting rust. 12 foot X6.5 foot Portable Aluminum 128 Goal (Pair)..
Training Cones 12 inchThese training cones are ideal for any soccer organization. They can be used d.. Choose from economical Twist inch nets or the more durable Braided inch nets. Features 2.5mm Twist: ..
24 foot Jr Soccer Goal (pair) Note: net, pictured additional..
Set of 4 weighted bases Transport wheels for added mobility Great for play or practice ind.. Highest quality Japanese cordley composite leather Microfiber backing for soft touch feel ..
Patented machine stitched technology. Soft touch composite PU cover. Butyl bladder for better air re.. POP UP HALF MOON GOAL 30X18..
Can be used with any portable goal 14" galvanized spike 4 per goal requiredKey Benefi..
One pair SGP-400 Classic Round Official Goals, 1 pair SND-8 4mm 5.5" square mesh white nets, 2 sets ..
3.5 MM OFFICIAL SIZE SOCCER NET WHITE.. Replacement corner flags onlyFits most size polesWarranty:01 Year(s)Unit or Package:SETDelivered by:.. Flexible, PVC cones with weighted bases for increased stabilityUse to designate boundaries, lanes an.. Replacement net for all purpose backstop system (Item # 1071435) 1.75" 3mm EHT black net..
12 foot X6.5 foot Round Semi-Permanent Alum. 128 Goal (Pair)..
Soccer Goal Net Clips with self-drilling screwsExclusive design, treated steel Money clip inch. For ..
 Waterproof for fun outdoor play Key BenefitsWarranty 0001 Year(s)Shipping NotesSmall Packag..